OnePlus has officially announced the Android Pie for OnePlus 3 and 3T beta test. Unfortunately, it will be a closed beta, so seats are limited. Wait, wasn’t this update promised last year? Yes, it was. Back in July 2018, the company did announce its plans for the update. Fast forward to 8 months later, and it finally seems to be implementing the plans. Better late than never I suppose. After the fiasco that was the OnePlus 2, the company seems to have made some improvements in supporting older devices. To recap, the OnePlus 3 was launched in 2016, with Android Marshmallow out of the box. A month after debuting the OnePlus 3T, the company released the Android Nougat update for the phones. And towards the end of 2017, the OnePlus 3 and 3T were updated to Android Oreo. Technically, Android Pie would be the third OS upgrade for the devices, which is something rare. According to the post on the official forums made by Manu, Global Product Operations Manager for OnePlus, the applications for the Android Pie for OnePlus 3 and 3T beta test ends today. It only began yesterday. 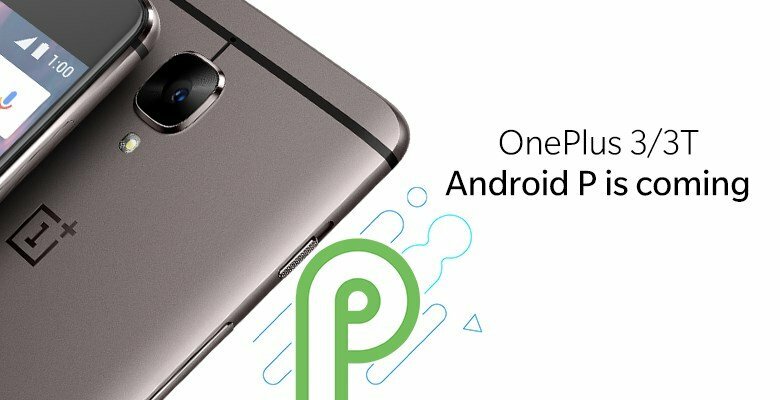 When will Android Pie for OnePlus 3 and 3T be released? It’s too early for that, since the beta test isn’t even an open one. We’d think users will have to wait for a month or so for the stable update.